[The Queen] Now, know your place and leave here. It’s Ico, you guys! From the game Ico. If you didn’t know that, perhaps you should go play Ico. It’s quite good. 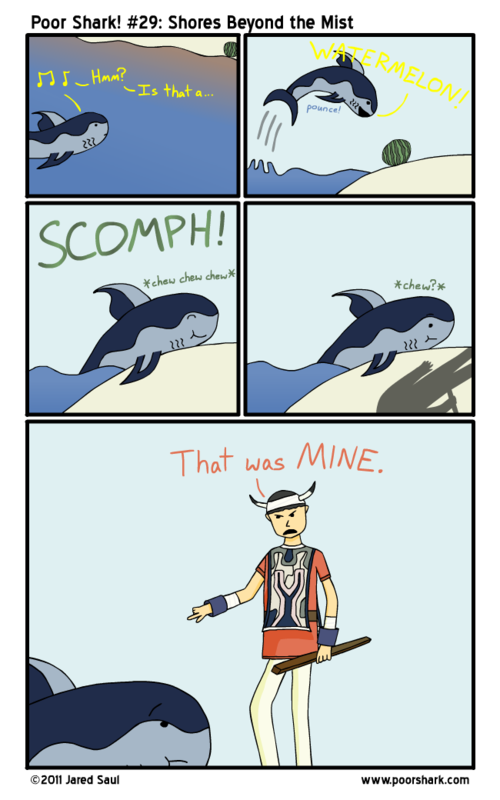 Shark just ruined his second playthrough. Poor Ico. I had a different idea for this comic, but all of my Yorda sketches came out pretty bad. So I’ll probably practice a bit and take another stab at that one some other time.